I use Chrome Remote Desktop, works pretty well for that if you don't mind using Chrome. Can I no longersort Youtube subscriptions by most recent activity? I used to be able to do it A-Z or by recent activity, but now I can't find that option anywhere. It used to be a "toggle" next to the top of subscriptions. I have 100+ subscriptions and I would really prefer to not have them alphabetically. I only see them by activity, in that I see all the stuff added 'today' and then yesterday then last week and so on. Even that would be better than alphabetically. It is almost useless like that. On the web, the only option for me now is by activity (which I prefer). On mobile (iOS) it is now defaulting to sorting by new activity, but still has the option to show alphabetically. So it is some setting tied to my user account but not one that I can change in Chrome. That is some bad programming. But I now have them sorted how I would prefer. Wow, confirmed on iOS too. Go to the web and subs are sorted by activity. Open the mobile app and change sort to alphabetical. Refresh the web, and it's now sorted alphabetically. No way I can see to switch it back on the web. That's some ridiculously bad design there Google. Where did the customize notifications go in google calendar? When I go to edit a reminder or task there is no option to set notifications or edit when they occur. Between this and getting rid of Inbox Google has been killing my workflow. My monitor keeps rapidly resolutions between 1920x1200 and 1920x1200. This wouldn't be a problem except it blanks out the screen whenever it switches resolutions. It used to be I only saw this behavior when a video was playing on Twitter. (And even then, not all of the time.) Now it's happening with just a web browser open. I don't know if it is the monitor, the graphics card, or what. The monitor is getting up there--it's an HP LP2480zx from 2010--but is otherwise just fine. I'd rather not replace it until I know that it's the actual source of the problem. Is it a laptop that has graphics switching (like optimus) and maybe it is happening when it switches from the chip graphics to the discrete? That's a good guess, but it's a desktop. And the problem seems to come in cycles--it's not doing it right now, for example. I would bet it is some utility running, check your processes and try to kill off any that you don't actually need running and see if it stops. Restarting stopped it for the moment, but I'll try these next time it happens. Can you try a different port on the monitor and/or the card? If it's hdmi, try the display port....or vice versa. If you can. On Reddit, is there any way to disable the subreddit-specific CSS and force it to use the default style? I mean on an individual subreddit basis, not globally. Googling for it got me any number of posts that claimed it was possible, but I can't find a coherent explanation of how to do it. Not sure how in-depth it is to manage this but here’s a Stack Overflow post about a Safari extension that allows you to use custom CSS on a per-site basis. I imagine you could download the CSS file(s) for baseline Reddit and use those, at least to start. Have not tried, though. THIS IS THE INTERNET WE DONT NEED YOUR “SIMPLE SOLUTIONS”. I took immense pleasure in placing my answer below yours. It's a fairly old desktop...I think from around 2010 give or take a year, so I don't know if the power supplies being sold now would work, or if I need to look for something older? Some power supplies have fans that only spin based on temperature or power load. A power supply fan not spinning when the computer is idle is not necessarily cause for alarm. If you know your power supply model, you might be able to look up if the power supply turns off its fan beneath a certain load. If you do need to replace the power supply, though, a modern ATX PSU will work fine in a 2010 era system. You've got to go back a good bit further than that before that becomes an issue. At best that belongs in the “job opportunities” thread... at worst, a bot. I am always impressed when those things get through all the hoops it takes to post here. Maybe Coffee Grinders should also have to complete a captcha with each post. I had to power it back off and on this morning and the fan never started up even a little bit, so either something is clogging it or it just isn't working. So since I probably will need to replace the PSU anyway, how many Watts would be good if there is a chance I may upgrade other things inside the case at some point in the future, but still be pretty reasonably priced? I'd say this one would be good in almost any machine. 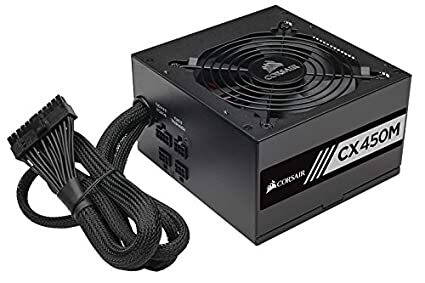 So since I probably will need to replace the PSU anyway, how many Watts would be good if there is a chance I may upgrade other things inside the case at some point in the future, but still be pretty reasonably priced? I would treat 500W as the baseline requirement for a single-GPU system. A good 750W supply is a comfortable long-term purchase. Buy quality. 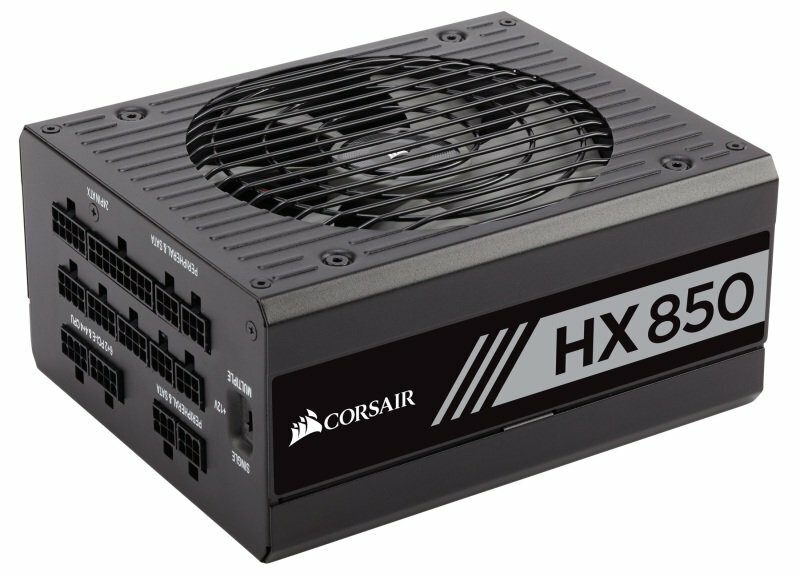 You want, at bare minimum, an 80+ Bronze rated PSU. Better yet, refer to the PSU tier list and ensure you pick something in Tier A or B (Tier "S" is overkill). For what it's worth, I no longer buy any power supply that isn't Seasonic. I have a couple Corsairs and EVGA units in secondary systems and test beds, and a box full of random crap tier PSUs that I've accumulated over the years... but for any system I care about, I now pretty much only consider a Seasonic (850W Focus Plus Gold in my main PC). What does modular, semi-modular, etc. mean? Modular means the cables are detachable from the PSU. This means you only have to plug-in the cables you need. Semi-modular means a few of the cables are permanently attached and some are detachable. Modular = easier to cable manage. Oh nice! And any of these types would work with an older computer?